If you’re needing creative ways to enter various rooms, we’ve found a unique way to do it. 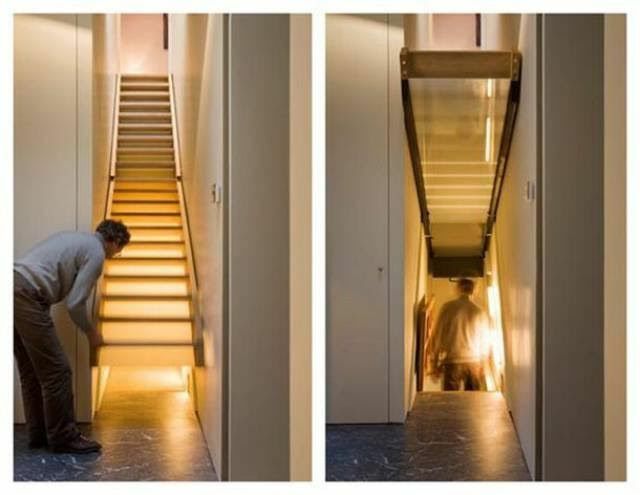 This house creatively designed their staircase to secretly raise so they can access their storage. 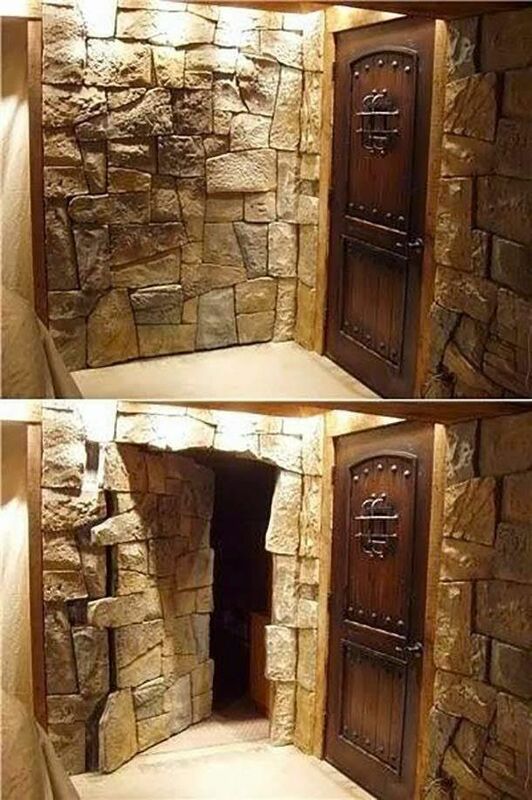 A hidden room behind a stone wall in medieval architecture might thrill King Arthur enthusiasts or terrify party guests. Either way, it might be a good place to store junk lying around.